Another fabulous use of deliciously nutritious coconut butter. 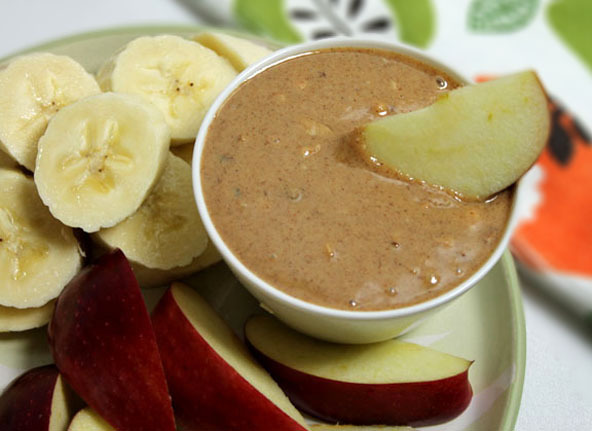 Try this recipe and take your nut butter to a whole new level of yum! This simple recipe will likely become a “go to” staple in your house for a quick nutritious snack. Eat all the fresh fruits you like with this and you’ll discover the protein and healthy fats in the nut and coconut butter will keep you full and satisfied for a long time. The special ingredient is the coconut butter. If you haven’t already, you’ve got to try it. You can easily make your own Homemade Coconut Butter. ½ cup almond butter either creamy or crunchy (I like Whole Foods 365 brand crunchy. Ingredients: Roasted Almonds– that's it! For raw foodies– use raw almond butter) Feel free to use Sunbutter (sunflower seed butter), cashew butter or peanut butter. ¼ cup coconut butter (I used coconut manna by Nutivia here, but you can simply make your own Homemade Coconut Butte). Mix the three simple ingredients together with a spoon in a small bowl and you have a wonderful whole food dip. The almond butter and coconut butter both need to be soft enough to mix together well. 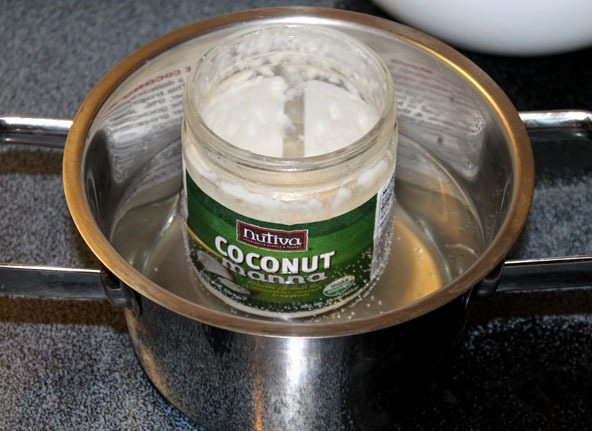 Coconut butter will turn solid when it is cold so ideally you will want to make some up fresh as shown here. If you already have some made up and it is hard, boil some water in a pot, remove from the heat and place the glass jar of coconut butter in the water until it softens enough to stir. If you prefer a thicker dip, simply put it in the refrigerator for 30 min or so and it will thicken up. See this article on Coconut Butter.